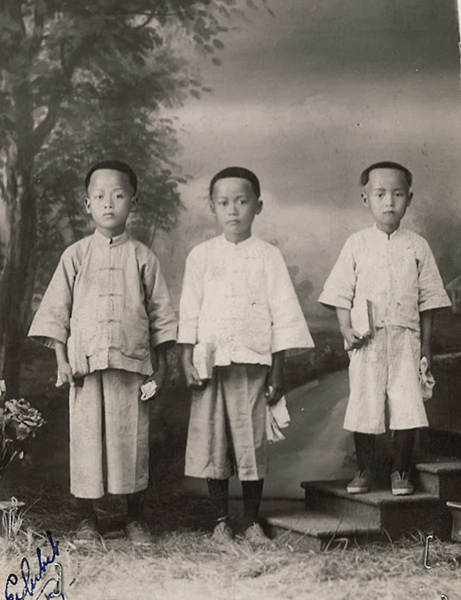 “Photos of Lim Don Hing (center) and his cousins,” ca 1925, Chinese Exclusion Act case files, RG 85, National Archives-Seattle, Lim Don Hing case file, Seattle Box 768, 7030/11375. 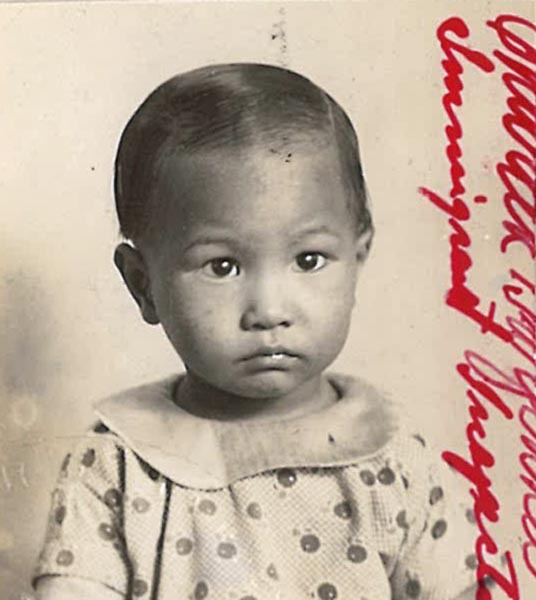 Lim Don Hing, a student, was 18 years old when he arrived in Port of Seattle on 22 August 1938 on the S.S. Princess Marguerite. 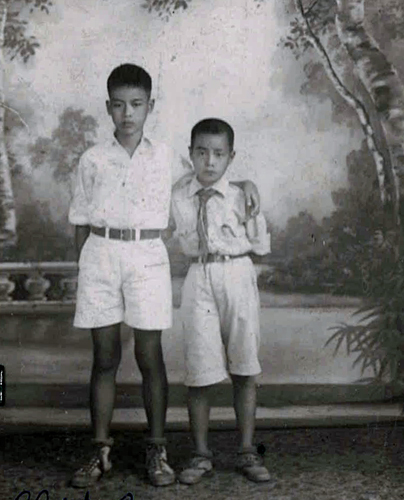 His father, Lim Sin (Thin), had recently died in Detroit, Michigan and Lim Don Hing would be joining his extended family there. 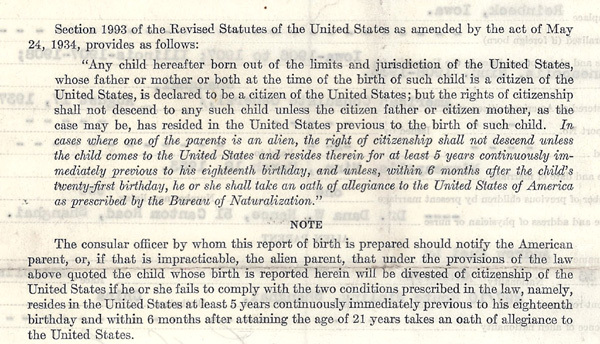 He was classified as the son of a citizen. He was originally denied admittance but was approved almost five months later. He was held in detention during that time. 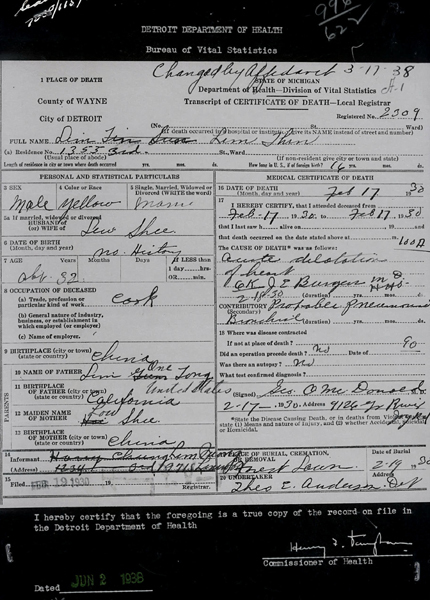 The documents used in his case were the photographs, his father’ death certificate, over forty pages of testimony by the applicant and two witnesses, two Seattle exclusion files, seven San Francisco exclusion files, an affidavit, and the testimony of his attorney, John J. Sullivan. 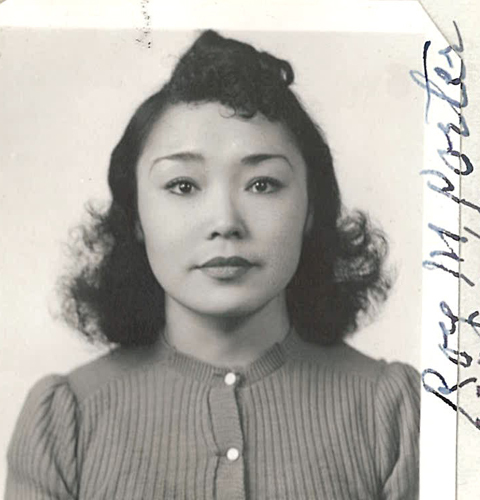 The case was sent to U.S. Department of Labor, Immigration and Naturalization Service for review. 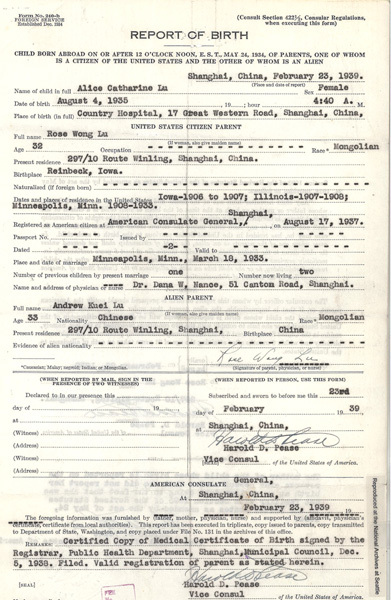 Lim Don Hing’s admittance was approved on 10 January 1939. 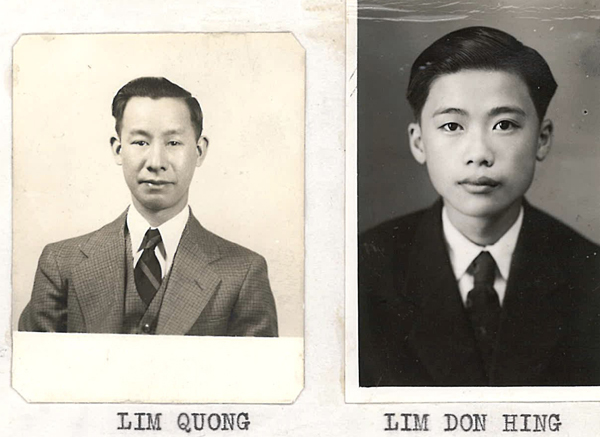 “Affidavit Photos of Lim Don Hing and Lim Quong,” 1938; “Death Certificate for Lim Sin (Thin)” 1938; “Photo of Lim Lin Foon and Lim Don Hing,” ca. 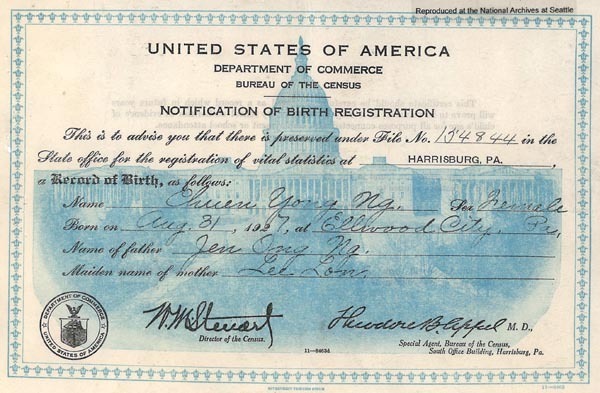 1928; Chinese Exclusion Act case files, RG 85, National Archives-Seattle, Lim Don Hing case file, Seattle Box 768, 7030/11375. 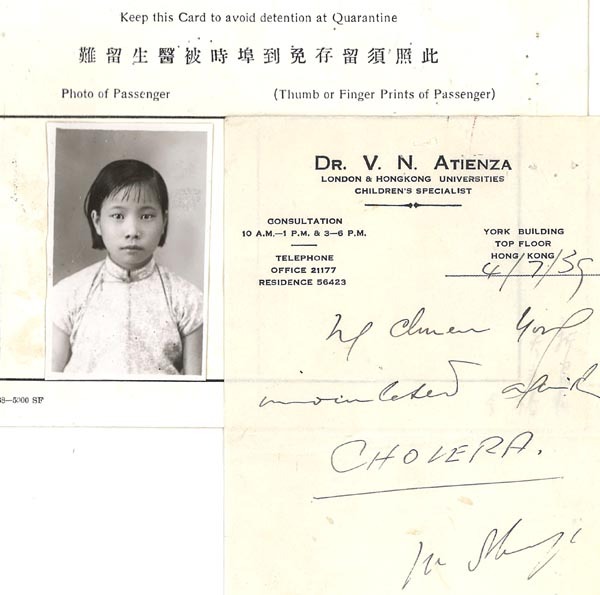 If you are interested in finding your roots in Guangdong, China, read this article.